Go "green" with stylish, re-usable bags. And what a great idea! 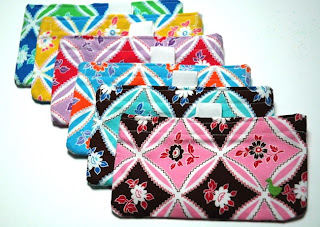 Saw these cute bags at Green Goose Bag Etsy store. 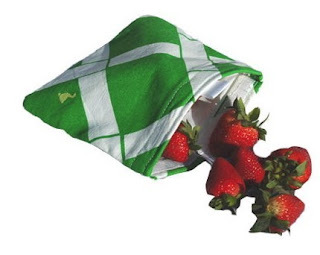 Green Goose bags says: "They can be used for sandwiches, snacks, wet bags, storage, travel, kids crayons, diapers, you name it! A single re-usable bag could potentially save over 1,000 plastic bags from going into landfills, oceans and waterways (plastic bags can be very harmful to sea life.) Green Goose bags are economical, stylish, sturdy, safe and eco-friendly. Made with either lightweight cotton or sturdy cotton canvas and lined with waterproof, stain-resistant nylon. No PVC's!! After use, wipe with sponge or wash in washing machine (air-dry recommended, but dryer works too!) All bags are made to order by me and are 100% satisfaction guaranteed." Which one would you pick?? I 'm going for the nice pink one, I think there can't be enough pink in this world.